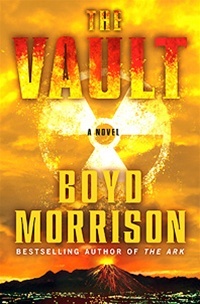 VJ Books Presents Author Boyd Morrison! 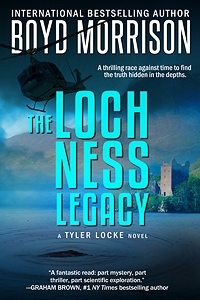 Boyd Morrison is an author, actor, and engineer. Fresh from earning a BS in mechanical engineering from Rice University, Morrison got a job with Lockheed working on the Space Station Freedom project at Johnson Space Center. After a couple of years at NASA, he returned to graduate school and received a PhD in industrial engineering from Virginia Tech. He later worked at RCA, where he designed electronic program guides for TVs and digital satellite systems. During his time with RCA, he earned ten US patents. After he and his wife moved to Seattle, he was hired into the Xbox games group at Microsoft. In 2003 he fulfilled a lifelong dream and became a Jeopardy! Champion. His hobbies include white water rafting, skiing, scuba diving, and bungee jumping. After leaving Microsoft, Morrison began writing full time. The Noah's Ark Quest and Rogue Wave were his first published thrillers. 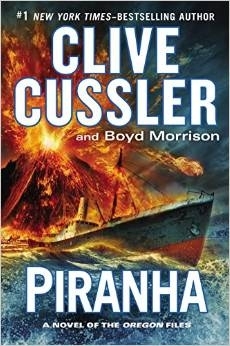 Piranha is the first novel he co-authored with bestselling author Clive Cussler. 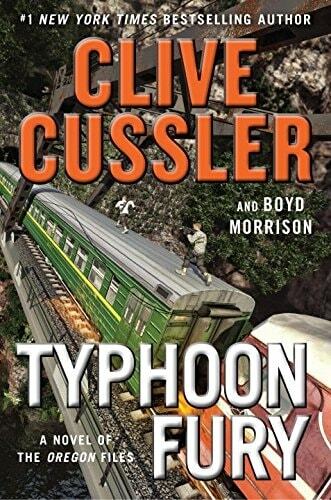 Norwood Press is the SOLE publisher of Clive Cussler limited edition titles. Signed Hardcover Book. May 2016 NY: G.P. Putnam's Sons First edition, first printing, mint, new/unread in a flawless dust jacket, ssigned by both authors. Each dust jacket is protected in an acid-free archival quality acetate cover. Limited Collector's Edition June 2016 OR: Norwood Press Limited Lettered Edition, signed by both authors. Lettered editions are lettered A-ZZ and come in a fully marbled slip-case with custom boards and end papers, stamped in platinum. (Lettered editions are by subscription with future placement guaranteed). Limited Collector's Edition June 2016 OR: Norwood Press Limited Numbered Edition, signed by both authors. Numbered editions are numbered 1-98, have custom 3/4 marbled boards in a matching slip-case and are stamped in gold. Author Signed UK Hardcover Book. June 2016 LON: Michael Joseph First UK edition, first printing, mint, new/unread in a flawless dust jacket, ssigned by both authors. Each dust jacket is protected in an acid-free archival quality acetate cover. First Edition Hardcover Book. May 2016 NY: G.P. Putnam's Sons First edition, first printing, mint, new/unread in a flawless dust jacket. Each dust jacket is protected in an acid-free archival quality acetate cover. Signed Hardcover Book. May 2015 NY: Penguin First edition, first printing, mint, new/unread in a flawless dust jacket, signed by both authors. Each dust jacket is protected in an acid-free archival quality acetate cover. Signed Hardcover Book. May 2015 NY: Penguin First edition, first printing, fine in a fine dust jacket, signed by both authors. Each dust jacket is protected in an acid-free archival quality acetate cover. Limited Collector's Edition July 2015 OR: Norwood Press Limited Lettered Edition, signed by both authors. Lettered editions are lettered A-ZZ and come in a fully marbled slip-case with custom boards and end papers, stamped in platinum. (Lettered editions are by subscription with future placement guaranteed). Limited Collector's Edition July 2015 OR: Norwood Press Limited Numbered Edition, signed by both authors. Numbered editions are numbered 1-98, have custom 3/4 marbled boards in a matching slip-case and are stamped in gold. Author Signed UK Hardcover Book. June 2015 LON: Michael Joseph First UK edition, first printing, mint, new/unread in a flawless dust jacket, signed by both authors. Each dust jacket is protected in an acid-free archival quality acetate cover. Signed Hardcover Book. September 2018 NY: G.P. Putnam's Sons First edition, first printing, mint, new/unread in a flawless dust jacket, signed by both authors. Each dust jacket is protected in an acid-free archival quality acetate cover. Limited Collector's Edition. September 2018 OR: Norwood Press Limited Lettered Edition, signed by both authors. Lettered editions are lettered A-ZZ and come in a fully marbled slip-case with custom boards and end papers, stamped in platinum. (Lettered editions are by subscription with future placement guaranteed). Limited Collector's Edition, September 2018 OR: Norwood Press Limited Numbered Edition, signed by both authors. Numbered editions are numbered 1-98, have custom 3/4 marbled boards in a matching slip-case and are stamped in gold. 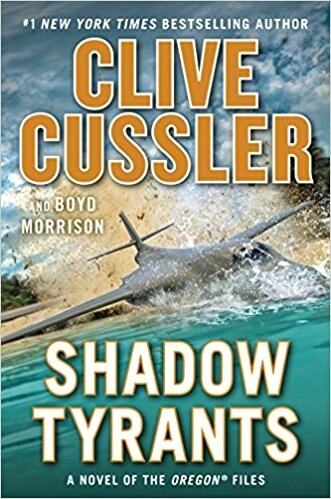 Order TODAY and receive a FREE hardcover double-signed trade edition of Shadow Tyrants. Signed Hardcover Book. September 2018 LON: Michael Joseph First UK edition, first printing, mint, new/unread in a flawless dust jacket, signed by both authors. Each dust jacket is protected in an acid-free archival quality acetate cover. Signed Hardcover Book. November 2017 NY: Putnam First edition, first printing, mint, new/unread in a flawless dust jacket, signed by both authors. Each dust jacket is protected in an acid-free archival quality acetate cover. Limited Collector's Edition December 2017 OR: Norwood Press Limited Lettered Edition, signed by both authors. Lettered editions are lettered A-ZZ and come in a fully marbled slip-case with custom boards and end papers, stamped in platinum. (Lettered editions are by subscription with future placement guaranteed). Limited Collector's Edition December 2017 OR: Norwood Press Limited Numbered Edition, signed by both authors. Numbered editions are numbered 1-98, have custom 3/4 marbled boards in a matching slip-case and are stamped in gold. Author Signed UK Hardcover Book. November 2017 LON: Michael Joseph First UK edition, first printing, mint, new/unread in a flawless dust jacket, signed by both authors. Each dust jacket is protected in an acid-free archival quality acetate cover. May 2010 NY: Simon & Schuster Advance reading copy, mint, new/unread in flawless pictorial wraps, signed by the author. Author Signed Hardcover Book. May 2010 NY: Simon & Schuster First edition, first printing, mint, new/unread in a flawless dust jacket, signed by the author. Every dust jacket is placed in acid-free archival quality acetate. Author Signed Hardcover Book. May 2010 NY: Simon & Schuster First edition, first printing, fine in a fine dust jacket, signed by the author, remainder marked. Each dust jacket is protected in an acid-free archival quality acetate cover. Author Signed Hardcover Book. 2010 NY: Simon & Schuster First edition, first printing, near fine (small piece mission from rear end paper) in a fine dust jacket, signed by the author, remainder marked. Each dust jacket is protected in an acid-free archival quality acetate cover. Author Signed Paperback Book Original. 2011 NY: Pocket Books Paperback Book Original edition, first printing, mint, new/unread in pictorial wraps, signed by the author. VJ Books Price $15.99 --> What is a Paperback Original? 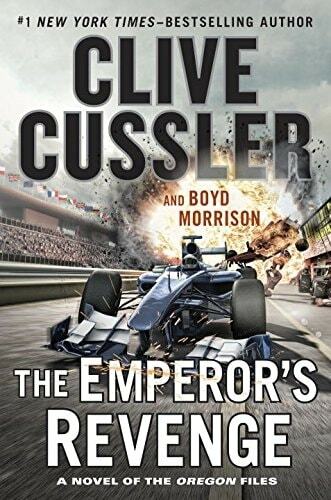 Author Signed UK Trade Paperback. November 2013 LON: Sphere First UK Trade Paperback edition, first printing, mint, new/unread in pictorial wraps, signed by the author. VJ Books Price $21.99 --> Why buy TRADE PAPERBACKS? Author Signed Trade Paperback. July 2013 WA: POD First Trade Paperback edition, first printing, mint, new/unread in pictorial wraps, signed by the author. VJ Books Price $26.99 --> Why buy TRADE PAPERBACKS? Author Signed Paperback Book Original. November 2010 NY: Simon & Schuster Paperback Book Original edition, first printing, mint, new/unread in pictorial wraps, signed by the author. Author Signed UK Trade Paperback. 2011 LON: Pocket Books First UK Trade Paperback edition, first printing, mint, new/unread in pictorial wraps, signed by the author. Author Signed Hardcover Book. July 2011 NY: Simon & Schuster First edition, first printing, mint, new/unread in a flawless dust jacket, signed by the author. Each dust jacket is protected in an acid-free archival quality acetate cover. Author Signed Hardcover Book. July 2011 NY: Simon & Schuster First edition, first printing, fine in a fine dust jacket, signed by the author, remainder marked. Each dust jacket is protected in an acid-free archival quality acetate cover.